Base Spread - 5" x 22" half base; Top Sizes - Rectangular tops. 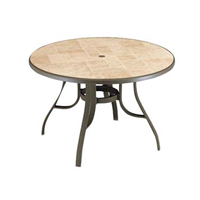 Base Spread - 22" x 22"; Top Sizes - 24" round or square, 30" round or square. Base Spread - 22" x 30"; Top Sizes - 24" x 42"
Base Spread - 22" x 30"; Top Sizes - 24" x 42", 30" x 42", or 30" x 48". Base Spread - 30" x 30"; Top Sizes - 36" to 42" round or square. Stand-Up Disco Table Base, 5" x 22" Black/Mahogany Table Tops. 30" x 30"
Black/Mahogany Table Tops. 30" x 48"